Greens (WA) member for the Mining and Pastoral Region Robin Chapple MLC has called on the Barnett/Grylls government to revoke all mining exploration tenements in the proposed new Horizontal Falls National Park and Marine Park area. “If the Premier is serious about conservation at the Horizontal Falls he needs to ensure there is no mining or exploration in the area that might damage what he has referred to as the ‘pristine environment that surrounds them’, Mr Chapple said. “As the Premier says, the Horizontal Falls are an ‘internationally-renowned tourist attraction’ in a spectacular natural environment that deserves the highest level of protection. 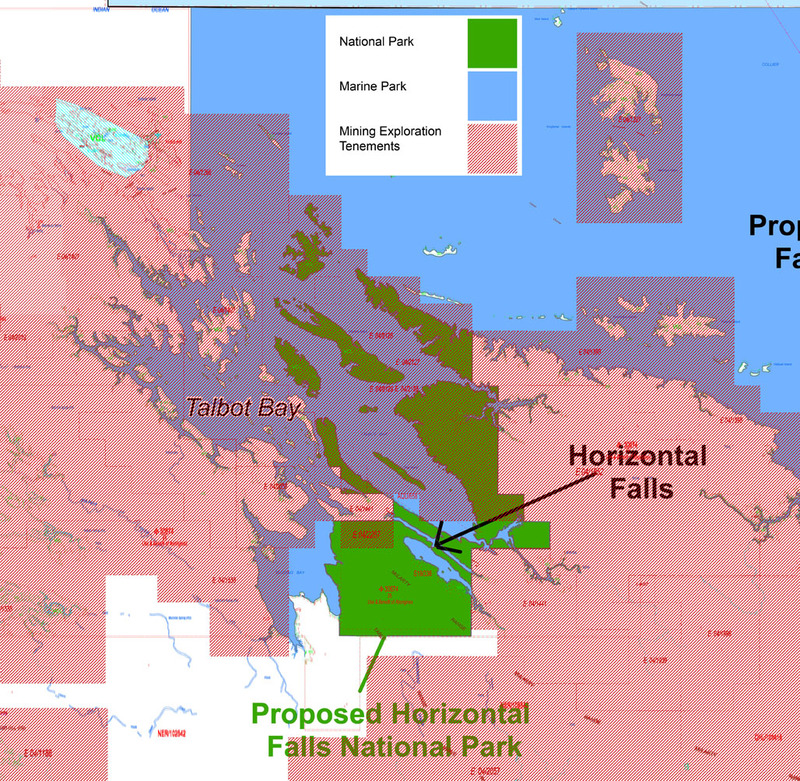 “This will only be possible if mining is prohibited as, when you examine the proposal, you can see that more than fifty per cent of the land and thirty per cent of the marine area earmarked for inclusion in the park is under mining exploration tenements. “The tenements belong to a number of companies including Hard Rock Resources, Vertu Investments, Hill 50 Gold Mines, FMG Resources, Cliffs Asia Pacific Iron Ore, Money, Kimminco, Pegasus Metals and Koolan Iron Ore exploring for minerals such as copper and iron ore.
“While the Premier’s announcement mentioned recreational fishing, pearling and tourism continuing in the area he failed to acknowledge that under current arrangements mining interests will continue to exist and be supported by the Government. “Colin Barnett has called it ‘one of the most significant conservation initiatives in WA history’. It could also be seen as a pre-election ploy to deflect attention from his unpopular and divisive promotion of the destruction of James Price Point,” Mr Chapple said.